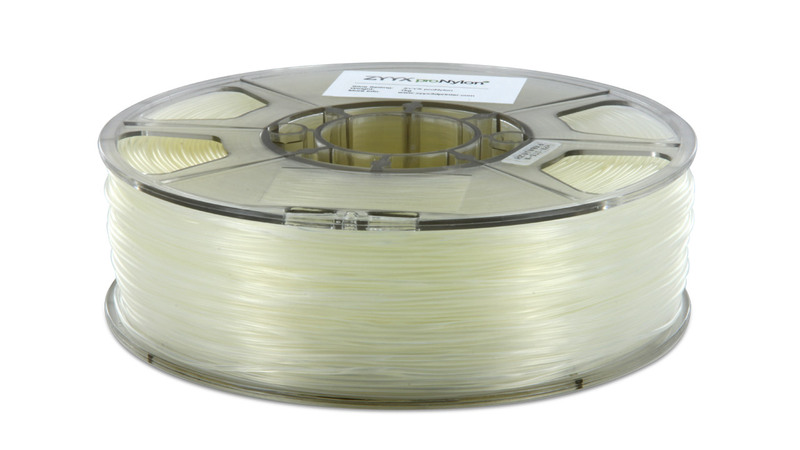 ZYYX proNylon™ is a nylon based filament for 3D printing and rapid nylon prototyping. Using the ZYYX proNylon, flexible parts with low friction and high toughness can be created. It is also resistant to most chemicals. Ideal applications range from bushings and pulleys to electronics casings where resistance to the environment is a priority.